Why iPhone iOS 12 Stuck? How to Fix? iPhone iOS 12 stuck happens often. For example, everything was going on fine until you try to reboot your iPhone iOS 12 and it then got stuck on the Apple logo. However, on the second thought, you think it just taking a longer time before realizing that something was indeed wrong. 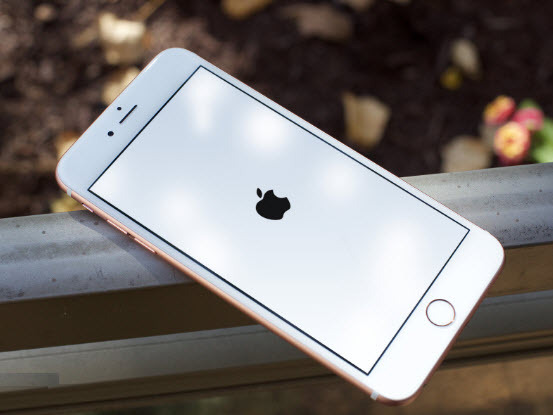 In some cases, you may try resetting your iPhone iOS 12 or even plugging it to iTunes but iPhone iOS 12 update stuck on the Apple logo. It is important to note that the iPhone iOS 12 stuck because something likely went wrong during its start up routine. Looking at the issue of iPhone iOS 12 stuck, it is important to state that there is no one size fit all solution to every iPhone iOS 12 stuck problems. In fact, different problems will require different solutions. The solution will depend on what caused the iPhone iOS 12 to get stuck in the first place. Some say a hard reset will solve the problem of getting stuck, but the truth is that a hard reset will likely not work about 99% of the time. Having said that, let us look at the different problems that could trigger an iPhone iOS 12 stuck problems and what you can do about it. Remember that your iPhone iOS 12 serves as another external device to your PC and due to the presence of other software, there could be interference during some critical moments of an iOS update or during a data transfer. The solution to this problem is simple. You just have to disable the software that caused it to get stuck in the first place before you continue. Another solution is to check the USB cable and USB port to see if the interfere with the data transfer process or have anything to do with corrupting iPhone iOS 12 software. You can use a different cable or even have your iPhone iOS 12 connected to a different USB port. When these fail, you can use a different computer for the data transfer. iPhone iOS 12 gets stuck mainly during the start up process. For example, when a phone is turned on, it immediately carries a quick check on the hardware. If the major hardware component fails, then your iPhone iOS 12 gets stuck. One solution for this problem is to have the iPhone iOS 12 repaired. If under warranty, it is possible for Apple to cover the repairs if there is no other problem. If the repair option is chosen, it is possible that Apple looks at replacing the iPhone iOS 12 logic board which is mostly the cause of iPhone iOS 12 stuck on the screen. When your iPhone iOS 12 is involved in a jailbreak as the name implies, it leads to the bypassing the Apple safeguards and allows access to your phone basic functionality. The solution to this problem is a complete restore of your iPhone iOS 12. A DFU which is known as default firmware update can be done in order to restore the iPhone iOS 12. Remember the DFU is deepest type of restoring iPhone iOS 12 because it involves reloading your iPhones firmware and not just the software. iMyFone Umate Pro or iMyFone Umate Pro for Mac is a good tool that can be employed in order to take care of issues of iPhone iOS 12 stuck. The program offers you a 1 click solution that helps you clear up your iPhone iOS 12 so as to improve your iPhone iOS 12 performance. 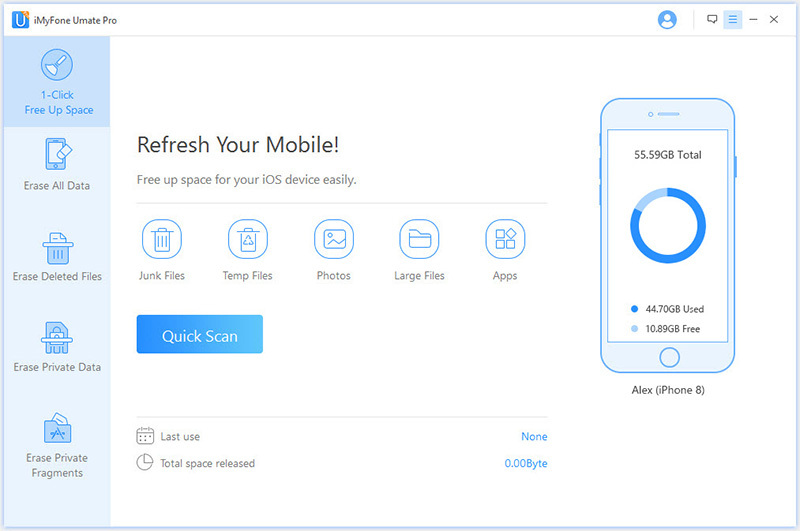 All junk files and temporary files will be deleted to optimize iOS system. Step 1: Download and run it on your computer, then connect your iPhone iOS 12. Step 2: Choose the tab “1 click free up space”. Step 3: Scan your iPhone iOS 12 and start to clear up your iPhone iOS 12. Erase Private Files: It has the capability of scanning and finding all private information and erasing them completely. It is also important to note that deleted files through this medium are unrecoverable by any recovery software. 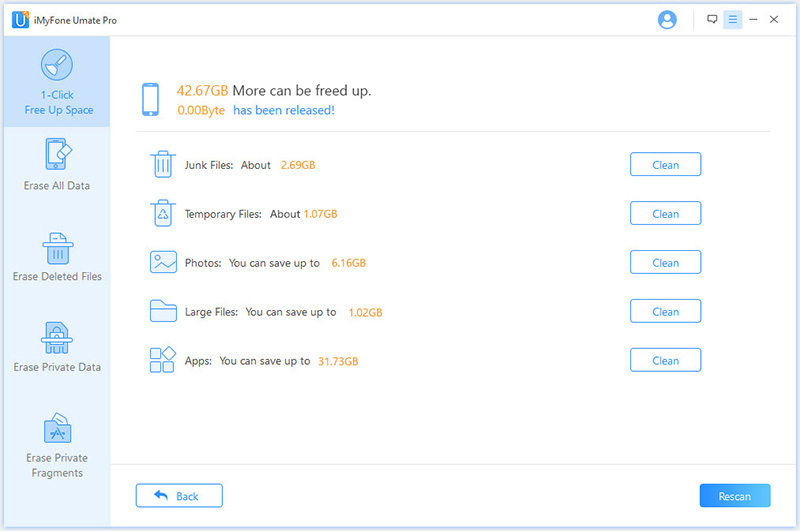 Erase Deleted Files: This option will find deleted files on your iPhone iOS 12 and erase them permanently so that it could not be recovered again, making it safe for people who intent to sell their device.